Peanut has finally grown into most of her clothes now YAY!! So today we joined the fabulous Viccy from "Jelly Rose Yate" and Sarah from "Sarahs World" for our first TUTU THURSDAY!! 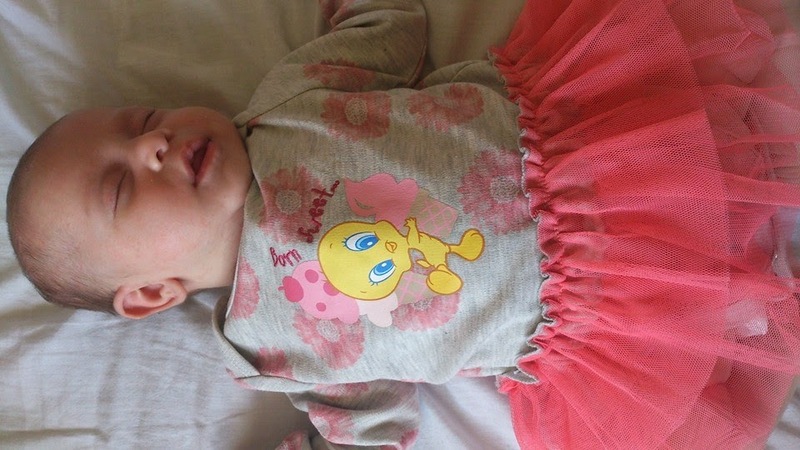 Here is Peanut in her tutu its a Baby Looney Toons 2 piece set but peanuts little legs are still to small for the tights so we are just rocking out the tutu vest for todays photos lol! You can buy this outfit from Sports Direct and is available in sizes 0-3 up to 18-24 months. Its usually priced at £13.99 but is currently in the sale for a bargain £4.50! Please do come back next week to see what Peanut, Scarlett and Alisha are wearing next week and please feel free to join in with your own Tutu thursday outfits!! Aww she is so adorable! I love that little tutu outfit! What a bargain and it is far too warm for tights anyway! Who needs tights in this weather anyway?! That's a bargain at £4.50. £4.50??! That's a crazy price! She looks very cute! Well that's what I call a bargain! Wau! 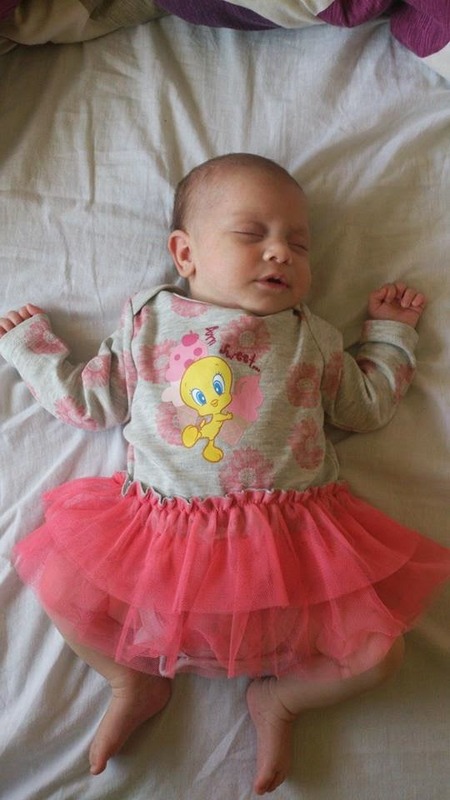 And what a beautiful tutu and even cuter baby! what acute outfit baby looks like a little angel in it. 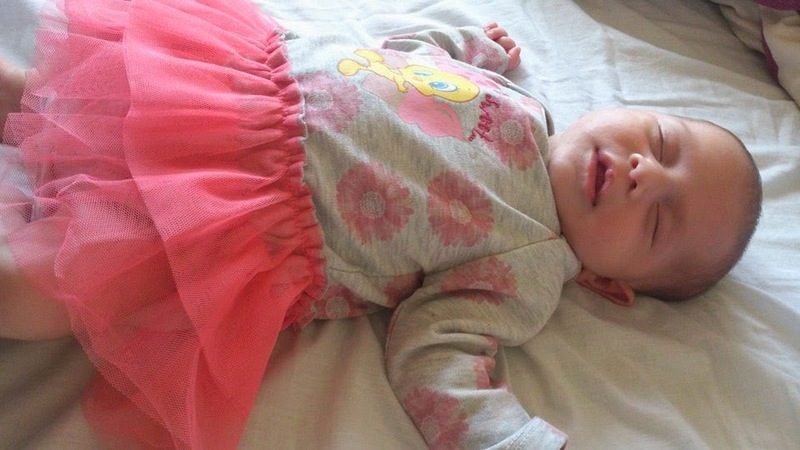 She looks absolutely adorable with her lovely little tutu! What a perfect little princess! such a little cutie! love a tutu! She's gorgeous! My daughter refuses to dress up so do it whilst you can! How cute and what a bargain too! That is adorable! She looks gorgeous in her little outfit. You will have so much fun dressing your little one up. I love dressing Max up, she looks adorable. Very cute photos. How sweet she looks and how quickly she is growing too!